If you like this free game, try The Spell. 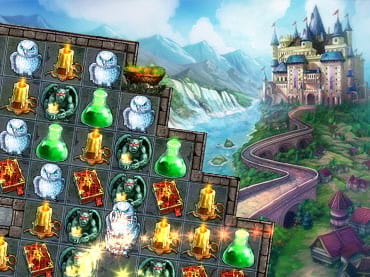 In Match Ventures, the castle has been ravaged by a dark dragon master, Dragor. Work closely with Finely and your company of dwarf friends as you explore the ruins of the castle in search of valuable magical items to rebuild the castle. If you have questions about Match Ventures game, please contact us using this form.